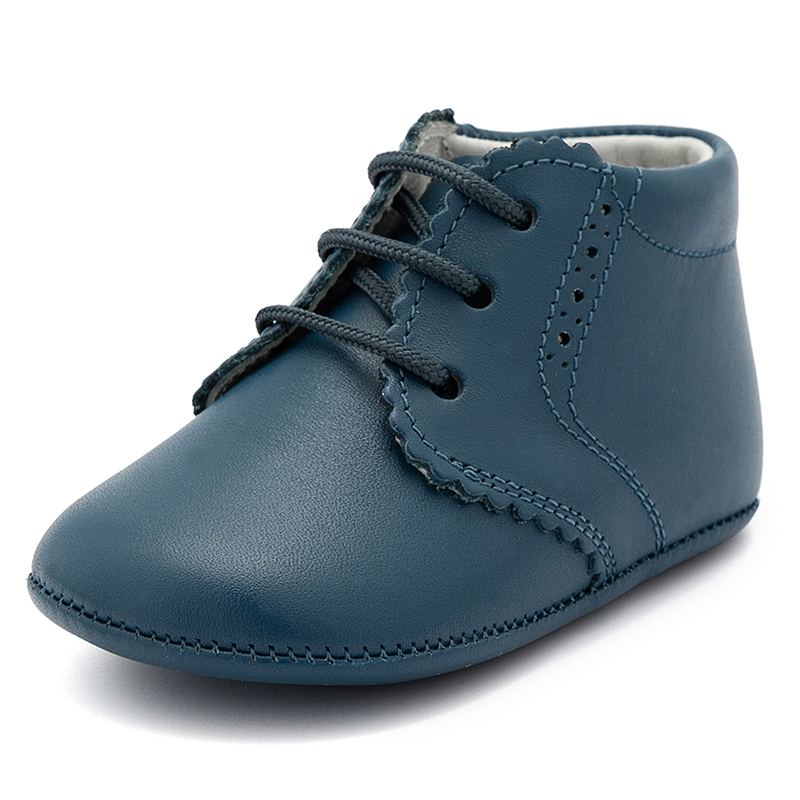 Gorgeous baby booties with cute little punch-hole detailing around the facing and quarter areas. 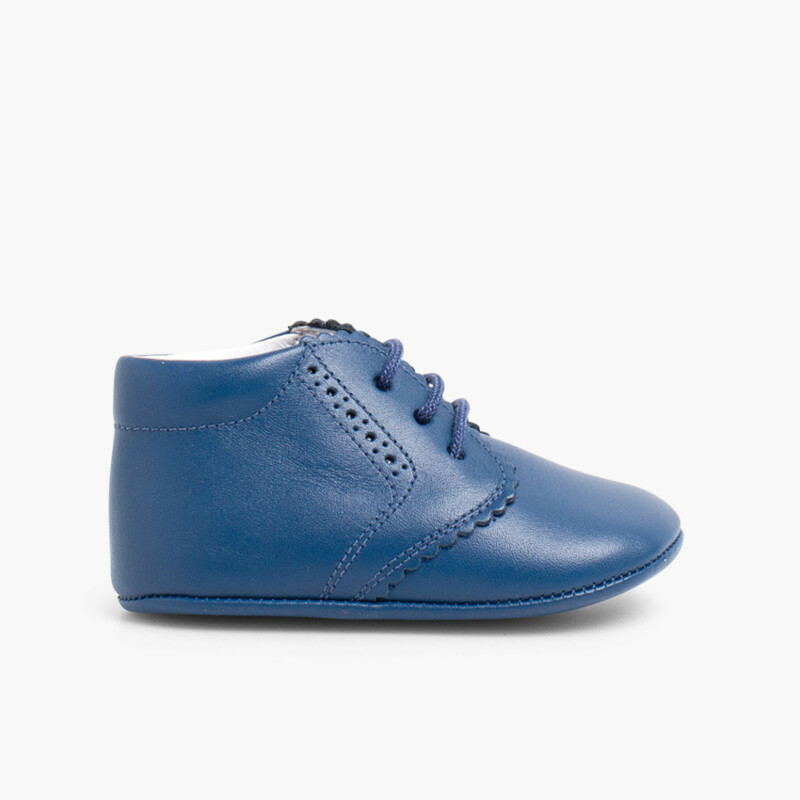 Most appropriate for kids who haven't started walking yet. 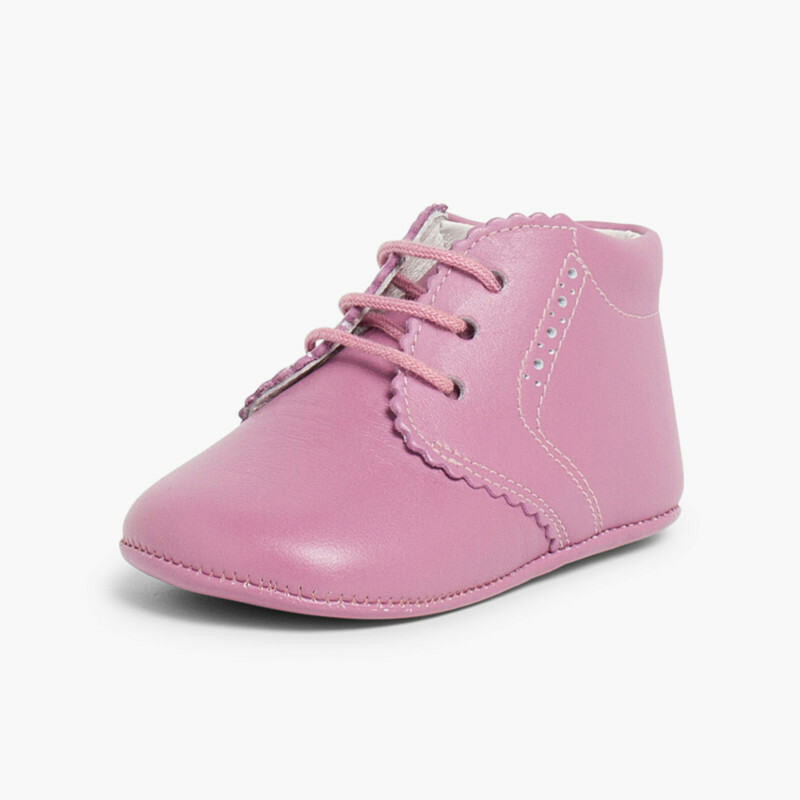 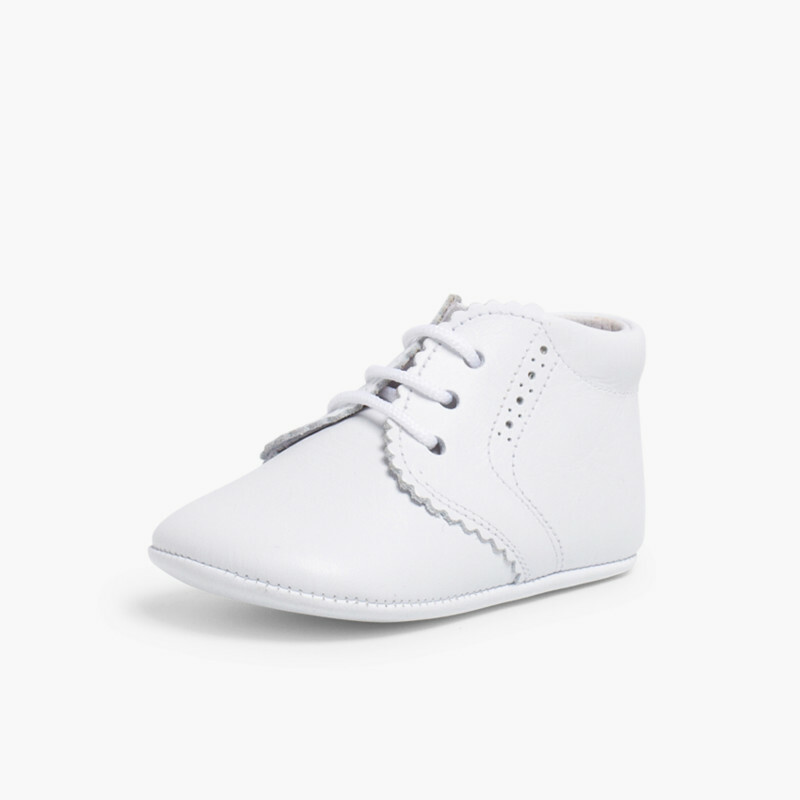 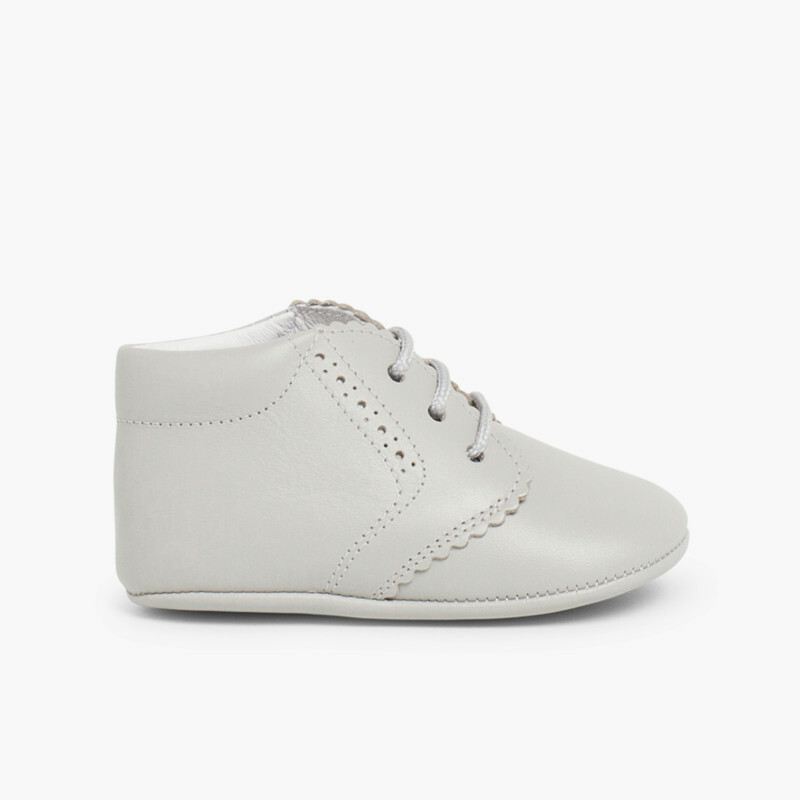 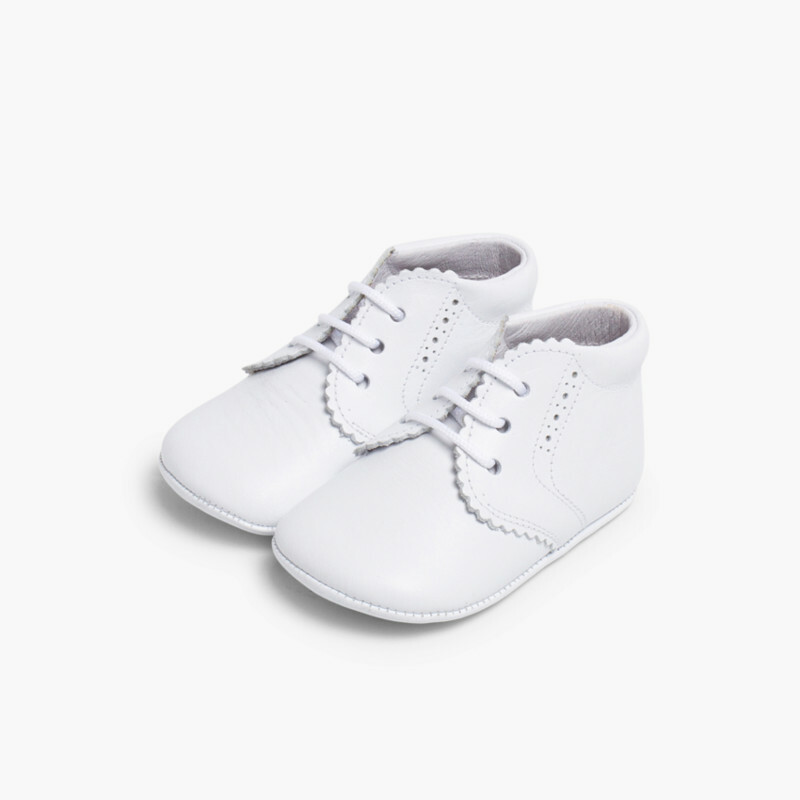 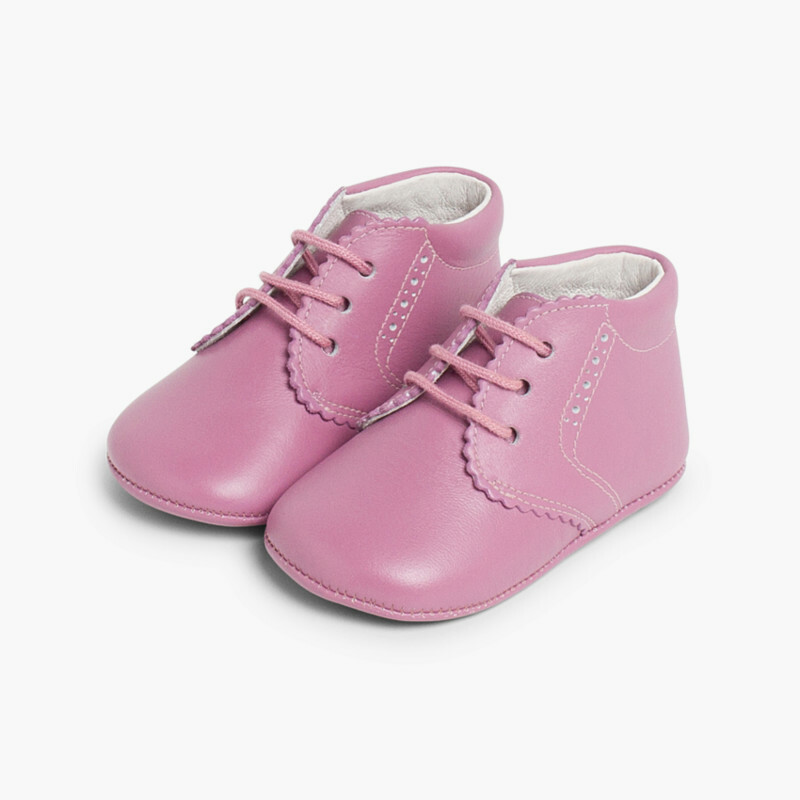 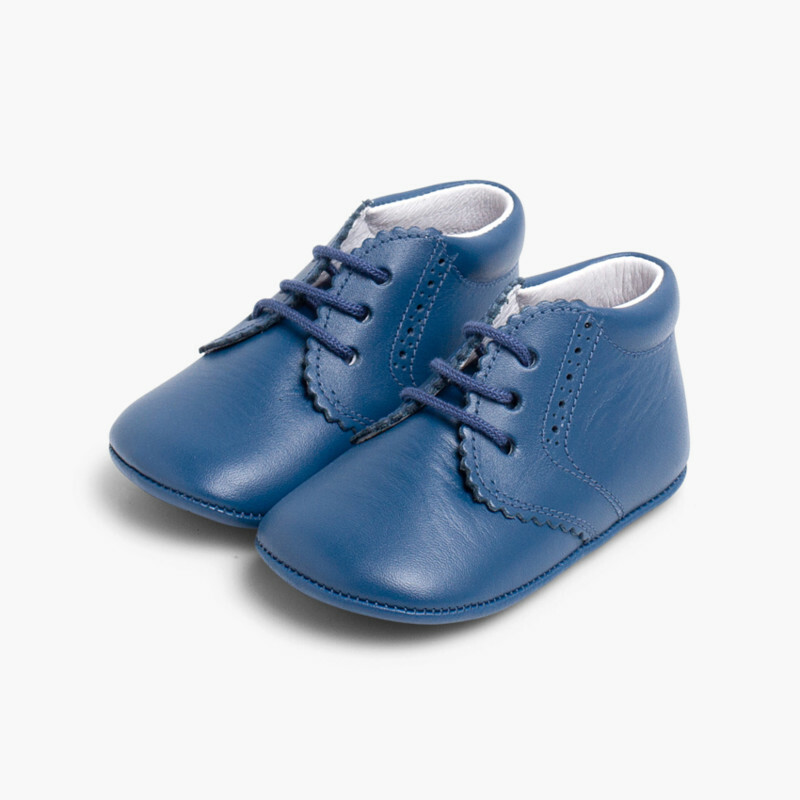 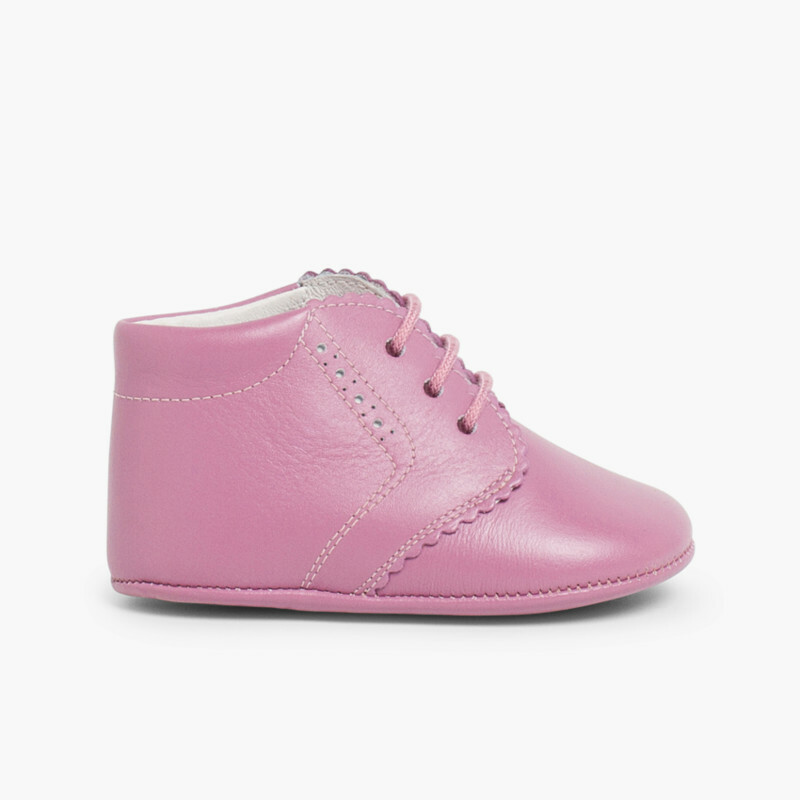 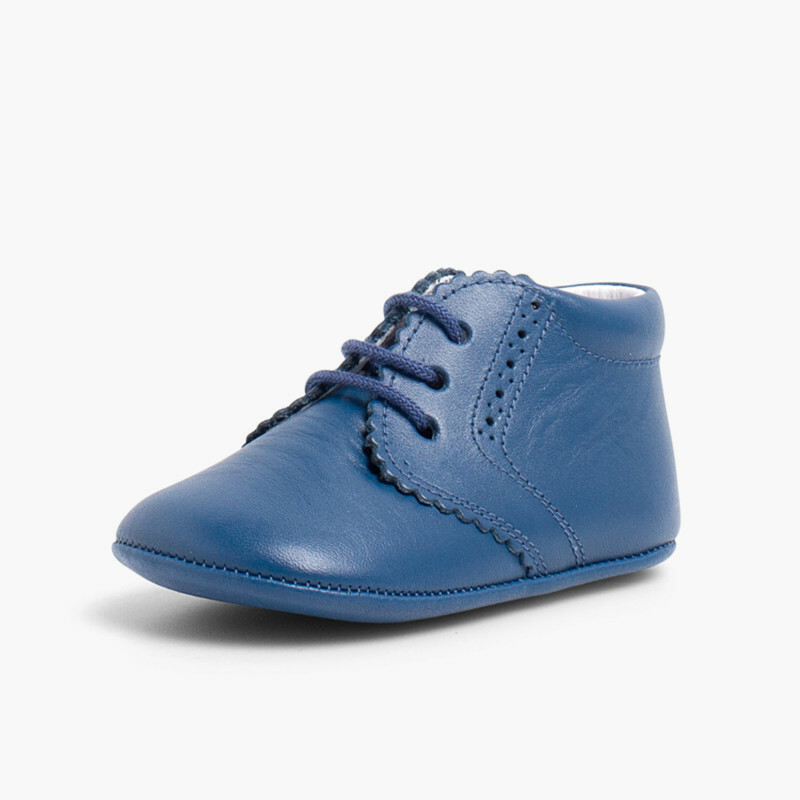 These baby shoes, made out of top-quality nappa leather and lined with leather, are also perfect for the mid-season and autumn-winter. 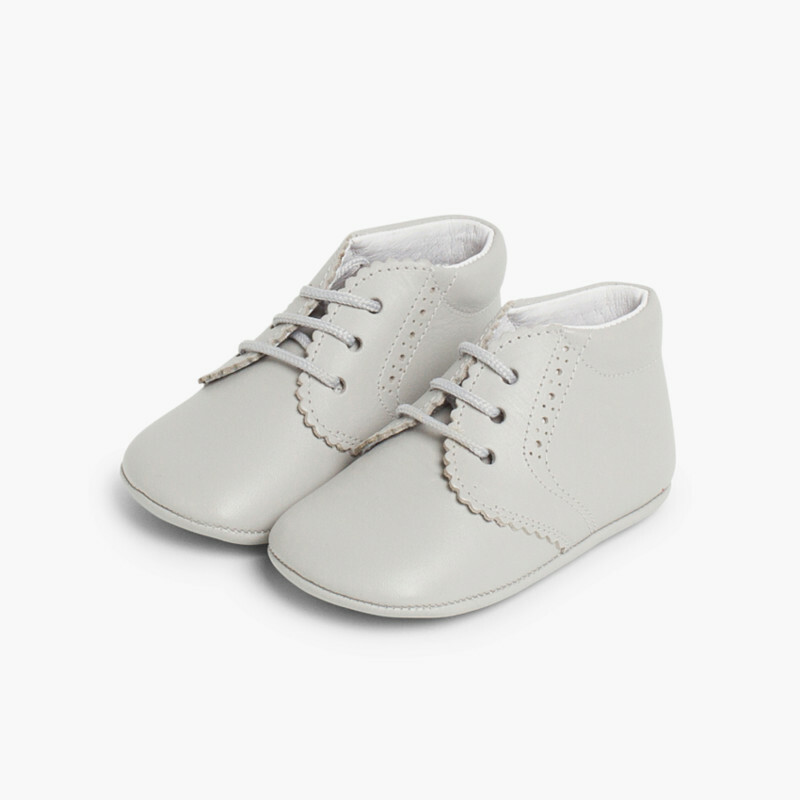 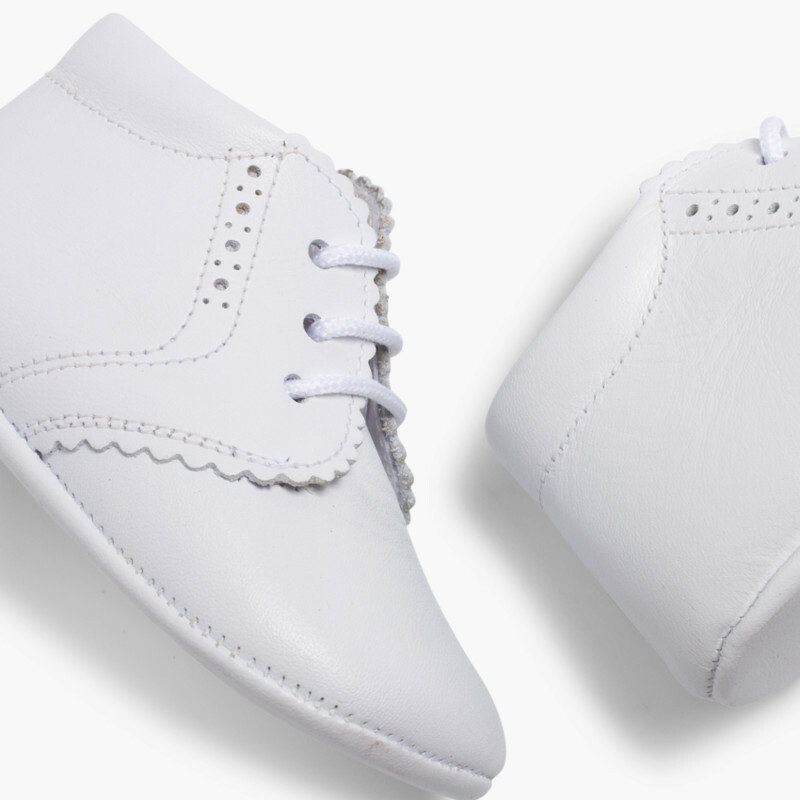 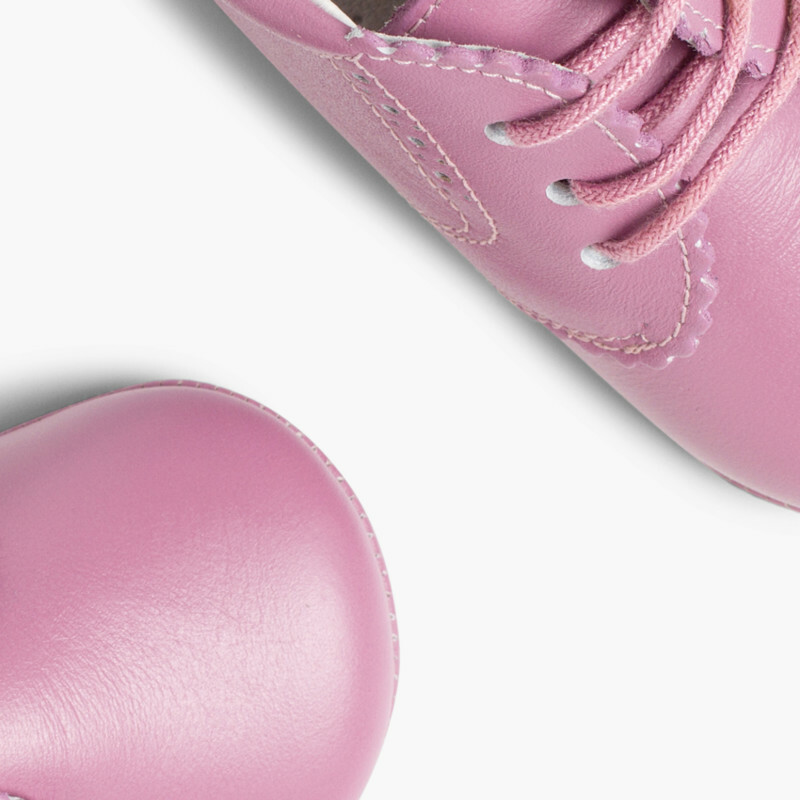 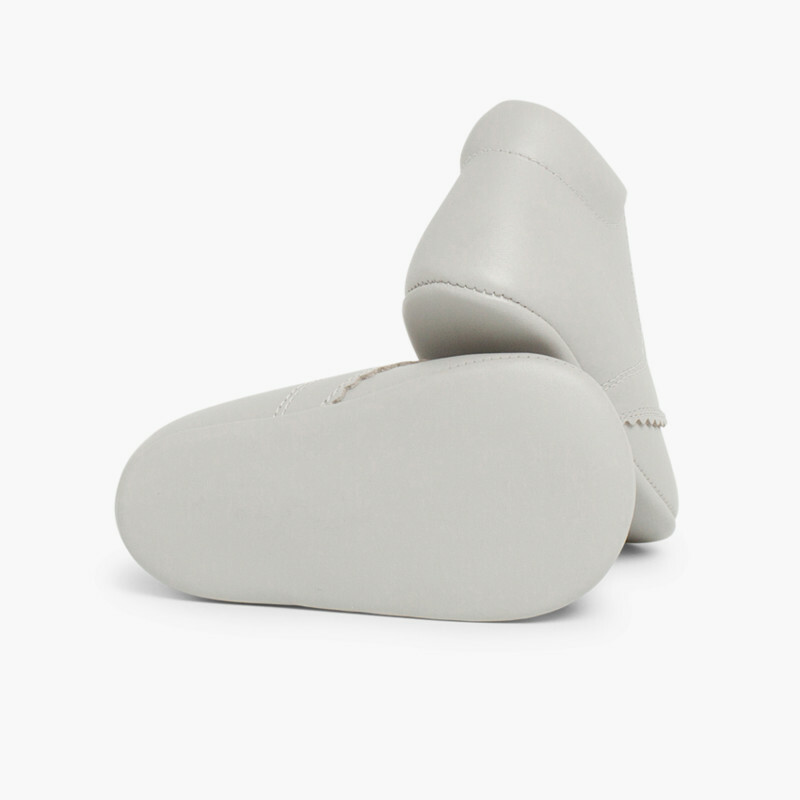 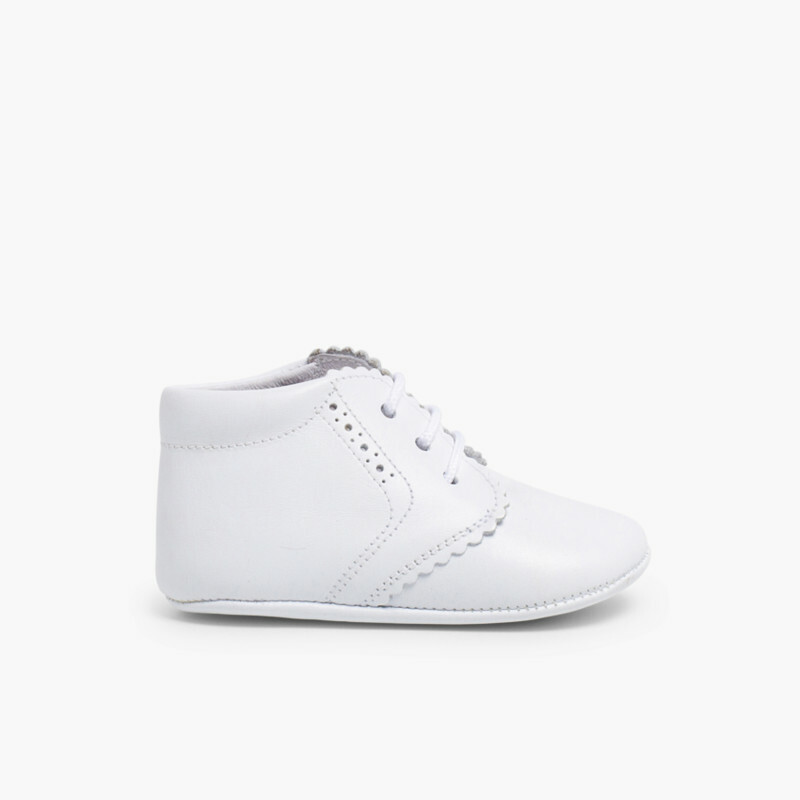 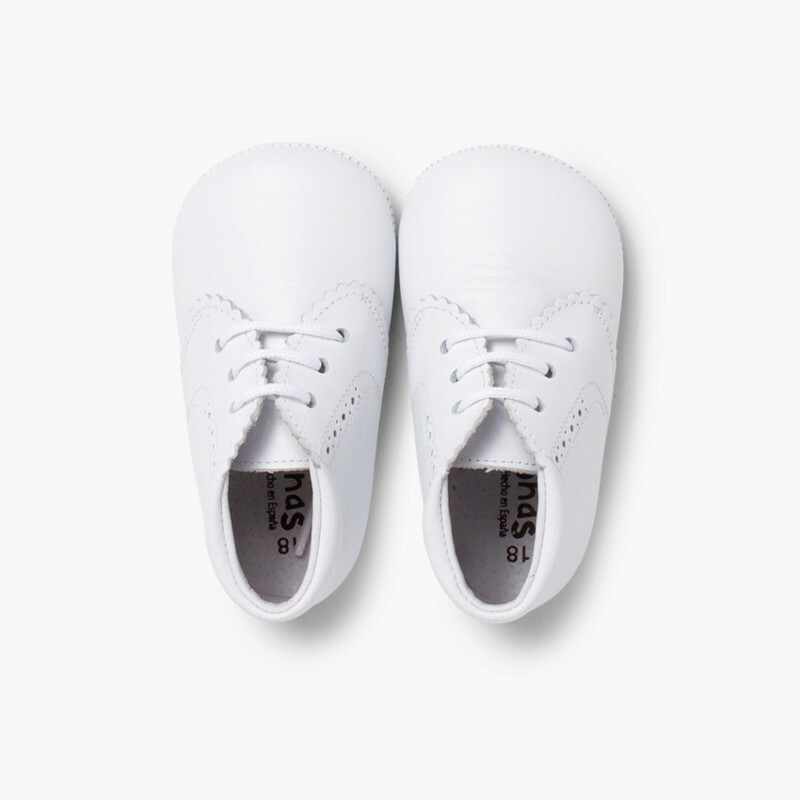 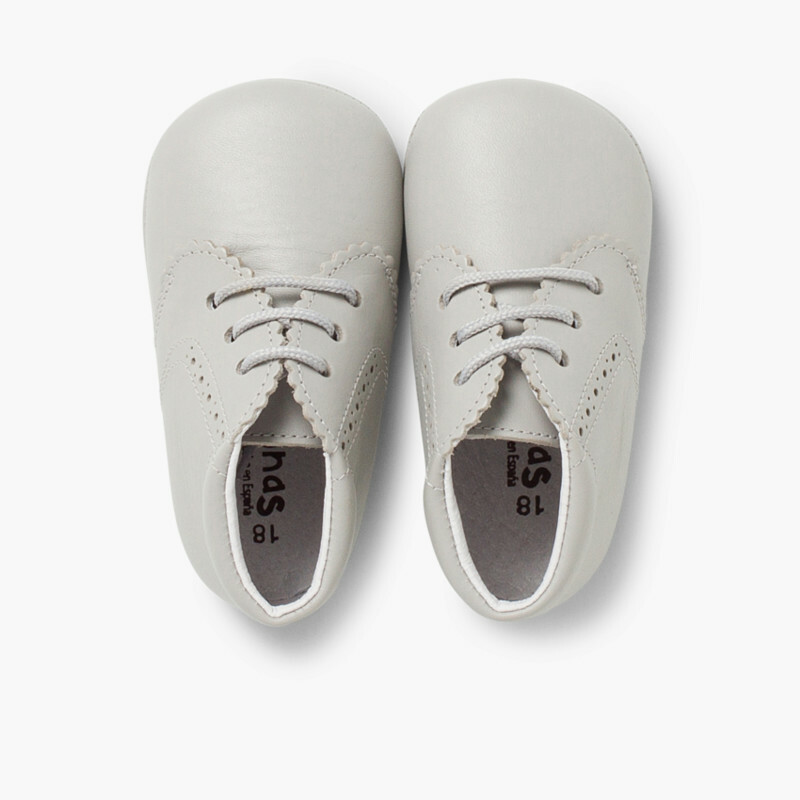 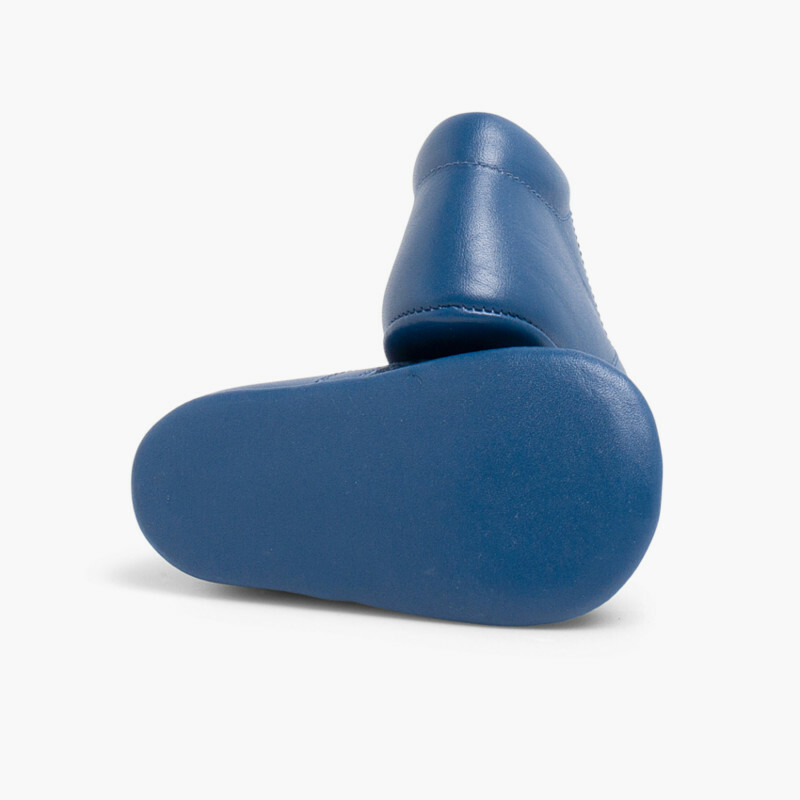 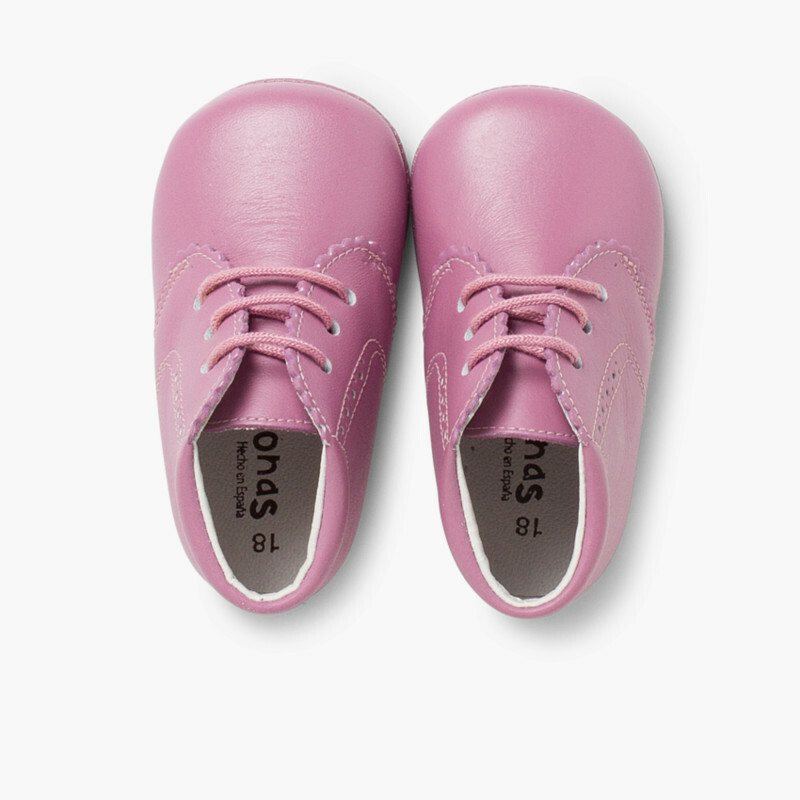 They protect your child's feet on chilly days and feel comfy just like being barefoot. 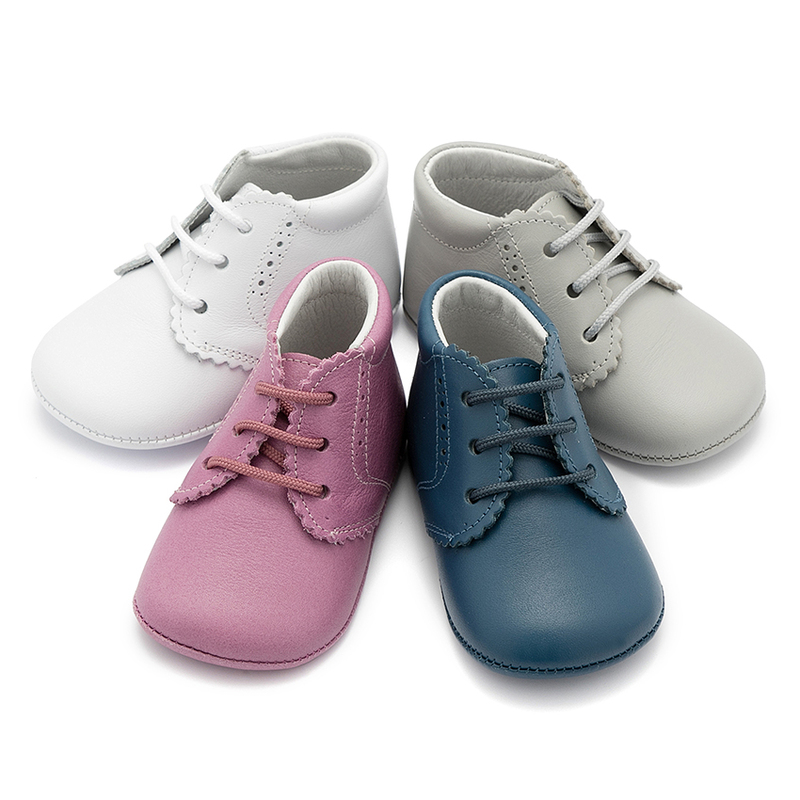 Available in several colours: white, pearl, aubergine and mid blue. 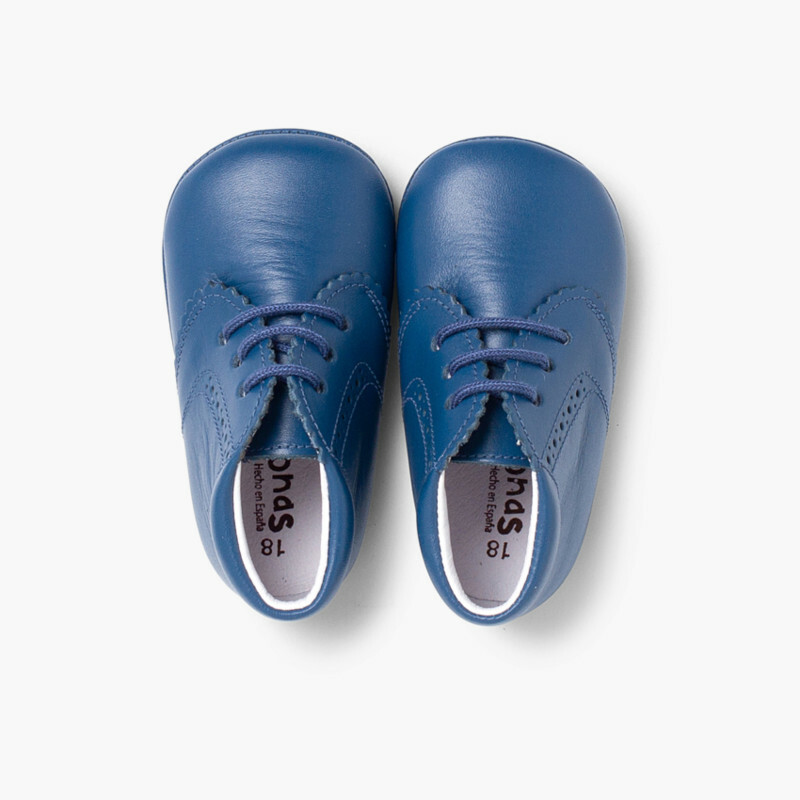 Easy to combine with your favourite garments and as always, 100% made in Spain, a seal of quality. 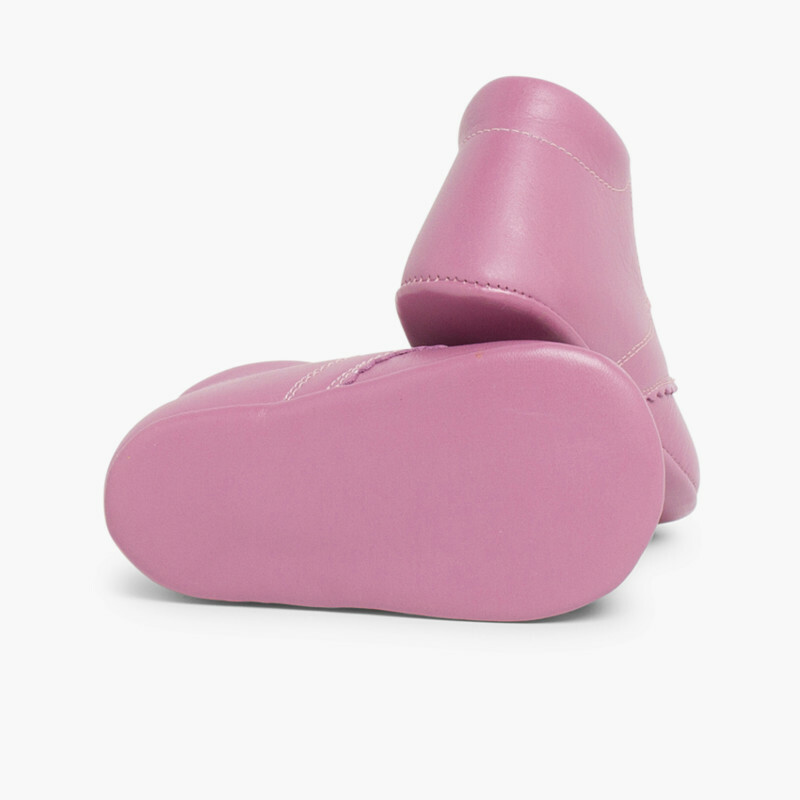 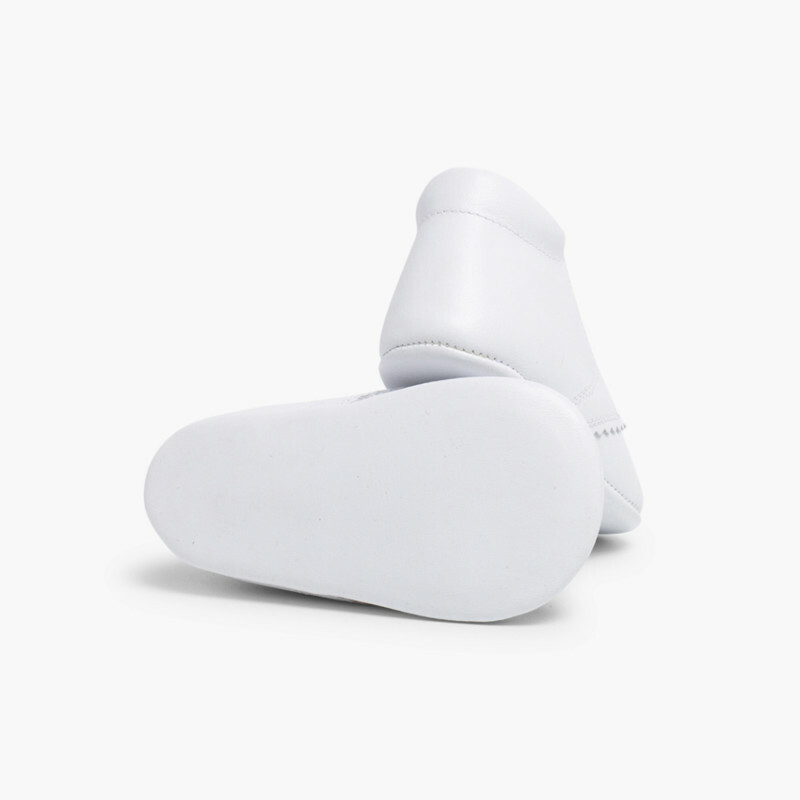 Besides, the top is cushioned and there are no inner seams that can hurt their feet. 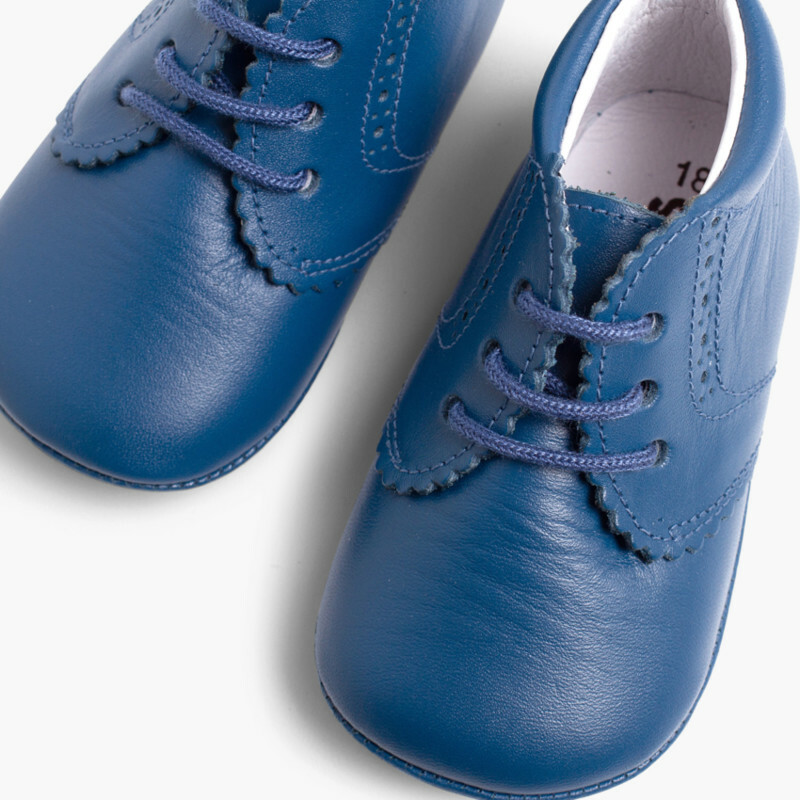 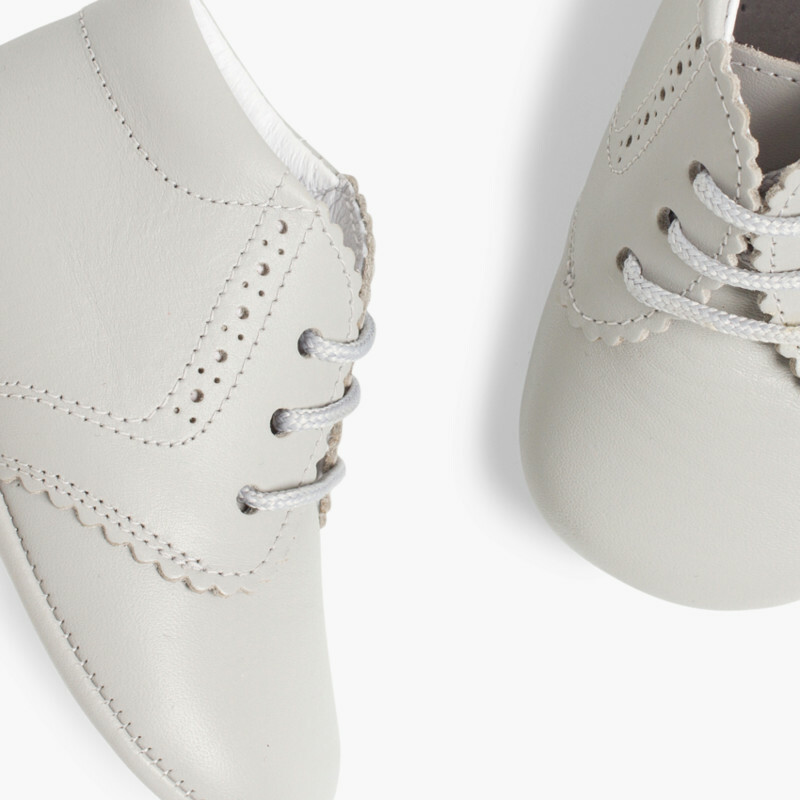 The laces allow for a perfect fit to their feet and prevent kids from taking off the boots. 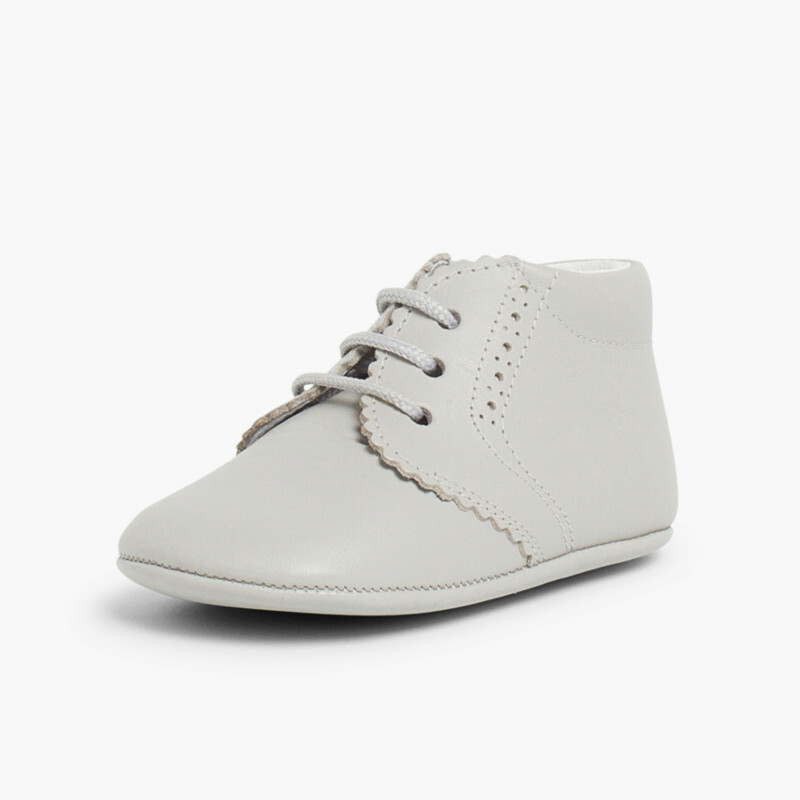 They are ideal for casual looks or dressed-up outfits. 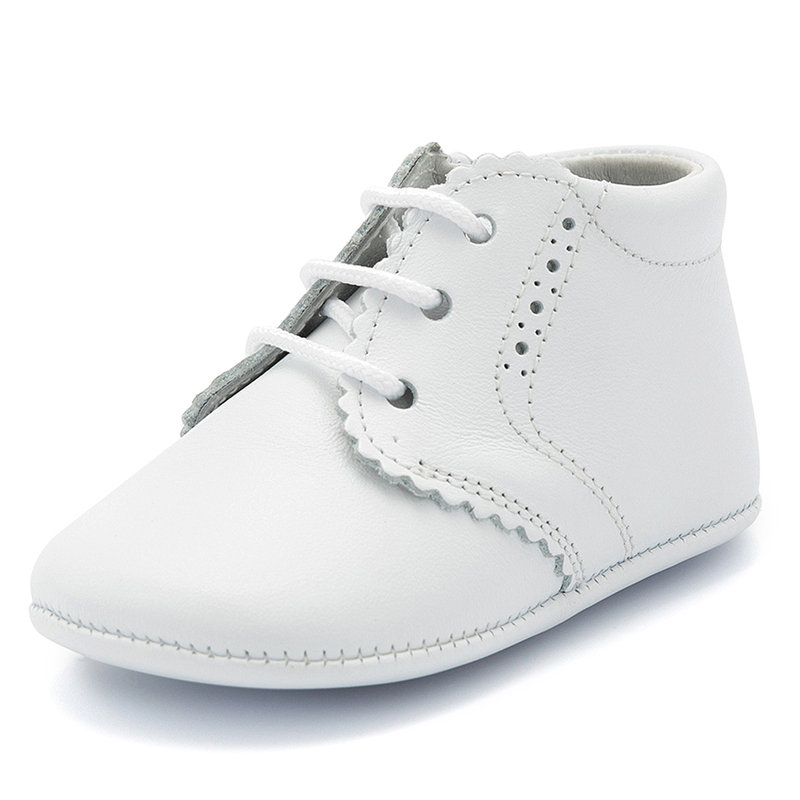 At Pisamonas, best quality children shoes, always at the best price.